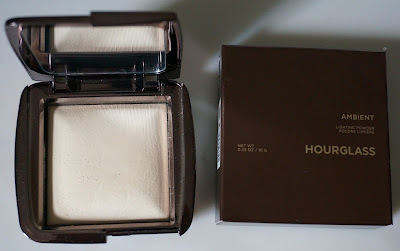 I was given Diffused Light from the Hourglass Ambient Lighting collection, on request, for my birthday and the first couple of times I used it I was a bit underwhelmed. That was August. 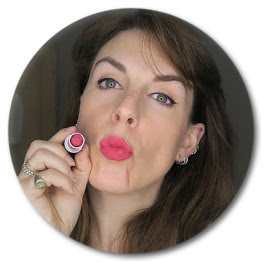 Skip forward to November and I am using it daily and, on leaving my entire make-up bag behind on a recent weekend away, it was the one thing I couldn't recreate from my mothers make-up stash and it is, I think, the one thing that can really make any make-up look good. I think partly what I didn't like was the slightly up-itself press packs - 'recreate the most exquisitely flattering light'. How? surely it would just look like shimmery powder. And I have to stay I stand by that. I don't feel like the one I use (Diffused Light, more on that in a minute) is recreating light but actually that is the closest way of describing it. The shimmer and glow to this is so delicate and fine that it really isn't like it is a product doing the work - it makes you look like you have got very good skin, in very good lighting. And that's just what I need. My skin has been experiencing some dark times since having Jim five months ago. It is usually dull and I counter this using some nice exfoliating toners and brightening serums. Not anymore. Now it is turned tomato red by everything that I put on it so my skincare is down to a minimum (I'm using Environ AVST range) so the dullness is back and has some lovely red patches to keep it company. I am a make-up artist but this does not mean I can work miracles and most days I don't have the time to do lovely layers of gently patted on foundation and concealer. I get about 7 minutes tops and whatever I have managed to slap on looks infinitely better with some of this powder over the top. Designed to mimic universally flattering light sources from moonlight to candlelight the powder softens the way light is reflected on the skin and conceals imperfections and wrinkles. It uses 'photoluminescent' technology created to change the direction of light as it hits the face which gives it a soft focus effect in all the right places. It is tricky to buy these over the Internet as the different colours do different things for your skin. I lucked out by successfully guessing that my skin would need Diffused Light but for those who want to know what to use when I've made a quick reference below but I really recommend going to a shop and trying this for yourself before you buy. It's an expensive product, worth every penny if you get it right, tear-inducing if you get it wrong. Diffused Light (what I use) - a pale, yellow toned powder that reduces redness and gives clarity.Good for pale, dull or skin prone to redness. This goes straight into my automatic re-buy pile. I can't imagine life without it so much so that I feel a little bit sorry for all my other lovely powders. You can see it in action in my quick five minute make-up tutorial.